In the time before the advent of paternity laws, bastardized children (that is, children with no identifiable father) and their mothers often occupied the lowest rungs of society and were the most vulnerable. Without a father or a male relative to care for, mentor, and raise the child, the child’s prospects were dim. 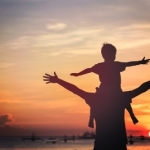 Paternity laws were created, therefore, to not only help children grow and develop by creating a father-child relationship where one might otherwise not exist, but also to establish legal obligations for fathers to support their children. In the modern age, establishing paternity still accomplishes both of these goals. A determination of paternity creates a parent-child relationship between the man and child (and thus enabling the man to visit with the child, develop a relationship with the child, and participate in the child’s upbringing). It also creates an obligation that the man pays child support to the child’s mother to assist her in caring for the child. 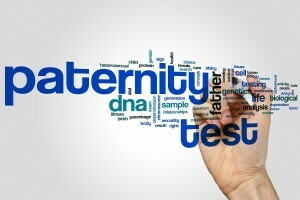 Establishing paternity is not as straightforward of a task as it may seem, however. 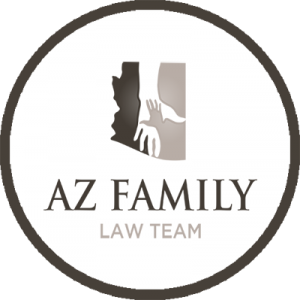 Arizona law creates certain “paternity presumptions.” The effect of these presumptions is simple: if one or more of these presumptions apply in the case of a particular man, the law then presumes that that particular man is the father of the child and obligated to support the child. The man can rebut any presumption only by clear and convincing evidence. If the man fails to do so, he will remain the father of the child – and obligated to support the child – until the man’s parental rights may be terminated. Genetic testing proves with at least 95 percent certainty that the man tested is the father of the child (some states have higher thresholds, such as 97 or 98 percent). The child’s birth certificate is signed by both the man and the child’s mother if the child is born out of wedlock. A notarized witness statement is signed by both the man and the woman indicating that the child is the natural child of the man. Establishing paternity in Arizona requires the preparation and filing of a petition to determine paternity. Paternity actions can be heard as part of a pending divorce action, or they may be filed in a separate and distinct civil action. 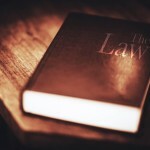 The plaintiff – the person seeking to establish or disestablish paternity – has the initial burden of proof to show that one of the four presumptions applies in the case. For example, a party seeking to establish paternity would produce the birth certificate with the man’s name on it or the writing wherein the man acknowledges paternity of the child. In the case of a genetic test, the party would need to produce the test results and may need to put on additional evidence to convince the court that the test is sufficiently reliable. For more information see the Arizona Department of Economic Security’s webpage on establishing paternity. The above steps only represent the first initial steps in a paternity action wherein one party or the other seeks to establish that a man is the father of a child. Once this initial burden is met, the party defending the paternity action (that is, attempting to show the man is not the father of the child) has an opportunity to rebut any presumption that is established. Only after the defending party is afforded this opportunity will a court issue a paternity order in the matter.